You have seen these links countless times on retail websites asking you to sign up for the merchant’s newsletter and get alerted with email marketing campaigns on specials and announcements. It’s a great idea and every retailer should do it but there’s a better way to capture data, deliver value and automatically plug visitors into your loyalty engagement strategy and membership database. Although this data capture strategy may import data into an email marketing database, it fails to import into the LOYALTY database where customers can earn and redeem rewards plus get plugged into automated email marketing campaigns. Patrons receive an activation bonus (e.g., Free Appetizer, $5 reward) available for immediate redemption upon successful registration. No paper certificates or coupons. Patrons just present mobile number and redeem at checkout. Customize the registration form any way you like with built-in validation controls to authenticate email addresses and ensure the validity of mobile phone numbers. Why upload, export and manage email subscriber list updates under the “OLD” way when you can seamlessly plug patrons into your loyalty program and membership database under the “NEW” way and deliver personalized value with appropriate redemption controls? Our private labeling solution enables patrons to register new loyalty accounts (with or without cards) and login to check balances directly over YOUR own website. With a few simple lines of HTML, you can provide the full patron experience within your own website and maintain a consistent brand experience while attracting and retaining online traffic. 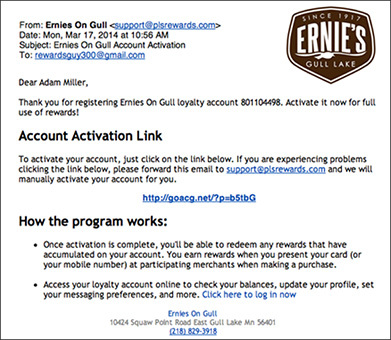 When your patrons activate online over your website by email, they receive a message from our system containing a link requesting users to click to authenticate their email address. The from field, subject line, logo and message body of the activation email are customized around your branding and information elements. 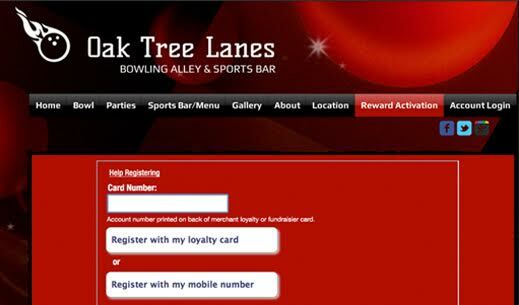 Patrons can login to their account directly over your website anytime using their card ID, mobile number or email address. 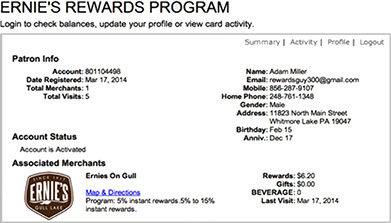 For merchants running cardless, the patron’s mobile number serves as the loyalty account ID. The link to login should be published somewhere prominently on your website so customers can easily find it. When patrons login through your website to access their account they can verify activation status, check available balances, review recent activity, or update their profile. 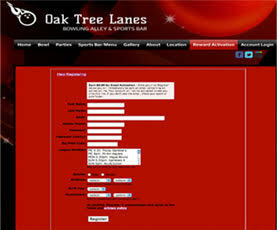 Below is an example of the patron activity report screen. Your customers can check prior transaction history, review rewards earned and redeemed and display cumulative totals in addition to currently available balances.